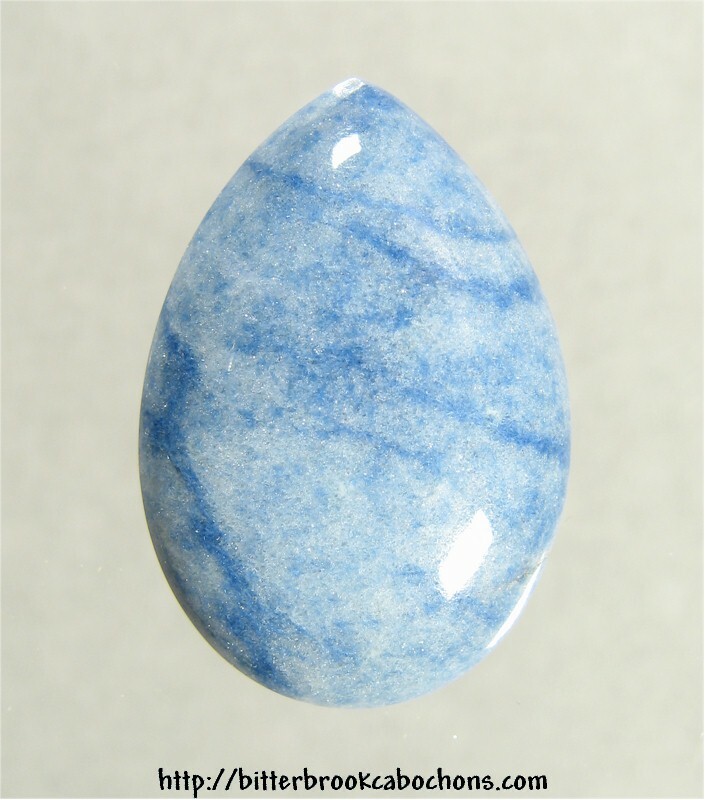 This unusual Blue Quartz material is overall light blue with darker blue veins throughout. Cut from the same material as this cabochon, it shares all of the big cab's outstanding attributes except for its size. Dimensions: 25mm x 17mm x 6mm. Weight: 18.70 carats.